That’s one reason why I’m a bit leery about tabletop wargaming which focuses on stuff like Second World War conflicts. Real people died in those real battles, I think it’s very different playing that to cosmic space ninjas vs intergalactic elves. The commenter is entitled to his point of view, and if he doesn’t want to play historical wargames, that’s his choice. However, I’d like to explain why I don’t agree with him. Simply put, wargamers play with cardboard counters, or models made of plastic, resin and metal. A wargamer risks nothing more than his pride, but in an actual war, real lives are put at risk. That’s a very big difference, and one which wargamers are fully aware of. Some have served in the armed forces and have seen the difference with their own eyes. Even those that haven’t tend to be well-read on their periods of interest, and so have a better understanding than most just how serious a business war really is. This leads to many wargamers having an anti-war, and in some cases pacifist, stance. Back in 1990, before the Gulf War started, I remember tabloid newspapers here in the UK running very gung-ho headlines and editorials, saying that the coalition should invade Kuwait and kick the Iraqis out. Then the ground war started, and British soldiers died. Suddenly the headlines and editorials changed tone – now the newspapers wanted to know what had gone wrong. Every wargamer knew the answer – Britain had gone to war. British soldiers dying was a natural, inevitable, and predictable consequence. Some of the soldiers had died from friendly fire, and as regrettable as that is, it’s also predictable. Friendly fire is as old as war itself. In 424 BC, during the battle of Delion, Athenian infantry mistakenly attacked and killed one another. In 1788, elements of an Austrian army marching to meet a Turkish threat mistakenly thought that the Turks were in front of them and opened fire. By dawn the Austrians had suffered thousands of casualties, even though the Turkish army was nowhere near. In 1939, HMS Triton became the first Royal Navy submarine to sink a warship in WWII, when it torpedoed and sunk HMS Oxley off the coast of Norway. Note the quote from H.G. 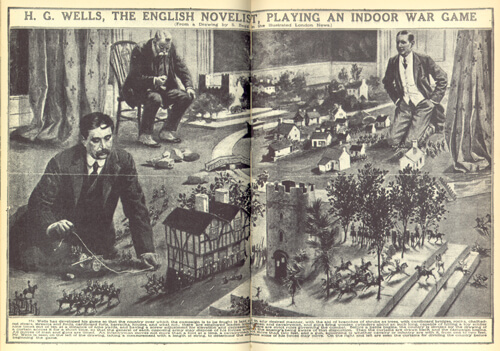 Wells at the top of the page: “Human history becomes more and more a race between education and catastrophe.” Every wargamer understands that war is a catastrophe. They have an interest in war, just as military historians do. That doesn’t mean that they don’t understand the seriousness of it, nor does it mean that they wish to glorify it. In most cases, it’s the exact opposite. I agree whole-heartedly with you on this. If anything my historical wargaming projects are my humble attempts to honour those that have fallen and to keep there memories alive. Thanks for the supportive comment. 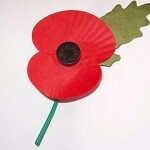 I do think that the public as a whole forget that people die in war. It’s the one thing that is absolutely constant in military conflict, and it seems to get forgotten all too easily. That’s the reason I feel so strongly that Remembrance Day is important – if people forget the past, they let it happen again.